Writing an info dump in conversation between characters will make your dialogue seem wooden and posed. It always seems strange when a character tells another about an event they’re both already aware about. Because it’s clearly for the benefit of our own understanding. ‘We can’t compete with that, Jake. What the heck will we do?’ Peter grimaced. The second example is less obvious, and avoids info-dumping. Instead of telling us the plot point through dialogue, it shows the characters’ fear and implies the situation (that they will be made redundant because they cannot compete). Instead of giving us the end result immediately, it creates uncertainty, build-up. Giving characters reason to hold the conversations they have will help you avoid info dumps. Many authors agree that straightforward dialogue tags (such as ‘she said’ or ‘he said’) are preferable to creative tags such as animal sounds (‘growled’, ‘barked’, ‘purred’). ‘Save your breath. You’ll need it on your deathbed,’ she said. ‘I need my breath now,’ Violet replied. ‘Did he move out? Is he with her?’ she asked. ‘No. We still together. She’s dead,’ Violet said. ‘Dead? Then what’s the matter with you?’ the woman asked. This is an example from Jazz (1992) by Toni Morrison, changed to show the deadening effect of too many dialogue tags. ‘I need my breath now.’ Violet tests the hot comb. It scorches a long brown finger on the newspaper. Through line breaks and an action (Violet testing the comb, which shows the preceding words belong to her), Morrison makes it clear who’s speaking and allows us to focus on the content of Violet and her client’s dialogue. Another common mistake in many dialogue first drafts is characters seeming like disembodied talking heads. It isn’t crucial to have an action or gesture in every line. Yet if throughout a lengthy dialogue there is no sense of your characters’ surrounding environment, we lose a sense of detail; place. 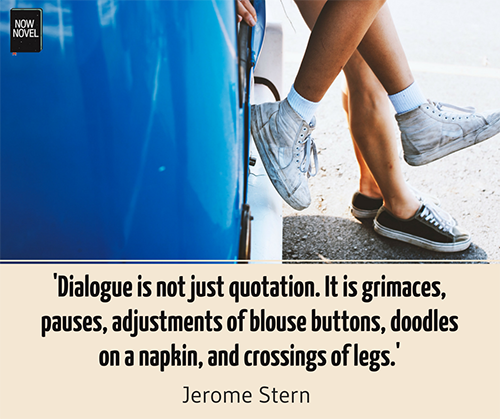 Dialogue is not just quotation. It is grimaces, pauses, adjustments of blouse buttons, doodles on a napkin, and crossings of legs. ‘I don’t know,’ I repeated, a bit frantically. The diagram of the rooms had a confusing, computer-generated quality, like something from a video game or a reconstruction of Hitler’s bunker that I’d seen on the History Channel, that in truth didn’t make any sense or seem to represent the space as I remembered it. The character Ray points to a diagram, and mid-conversation Tartt’s protagonist Theo breaks off to reflect on it. The dialogue leads outward into the action and setting of the scene, thus it feels anchored in a believable process (the investigation into the blast). As Tartt does, punctuate dialogue where relevant with gesture, with actions involving your characters’ surrounds, and their private thoughts. 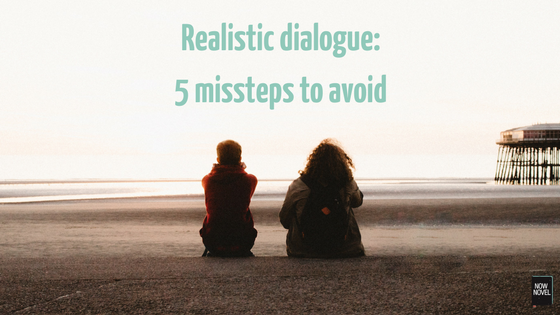 Although in real life conversation we might not know what two people are secretly thinking, narrating characters’ private thoughts in dialogue adds a stronger sense of their reality. It allows us to know many things unsaid along with everything said. Another pitfall when writing dialogue is making characters’ voices too similar. It’s not always possible or necessary to make differences between characters’ voices striking and emphatic. In a passing conversation about a minor plot point, or a brief exchange, differences might not always come to the fore. Yet over the course of your novel, if you tell characters’ voices apart, according to their individual personalities, their voices will ring true. The Victorian author Charles Dickens is a master of characterization. Dickens excels at giving characters individual quirks and features that make them stand out. The convict’s speech is all harsh, intimidating commands. Pip’s voice contrasts. It is respectful, timid, revealing his fear coupled with his youth and respect for elders (even intimidating, threatening ones). The convict’s ‘tell us’ (rather than ‘tell me’) adds a sense of regional accent – you could imagine a pirate speaking this way. Further on in Dickens’ dialogue, the man licks his lips between words, mutters, and grabs hold of Pip, demanding food. The cumulative effect is to create a harsh, urgent, and dominant voice. Pip, on the other hand, is all meek agreement, revealing his terror. If Dickens had written his characters’ exchange without these contrasting details of voice, much of the scene’s tension and suspense would be lost. All relationships in a novel don’t need to be rife with conflict and disagreement. Yet if characters are always in peaceful harmony, dialogue can grow tedious. Tension can be as small as a fleeting conversation in a gallery where characters discuss artwork and judge each other’s perspective. ‘It’s non-representational,’ she said, looking at me like I was some kind of bug she’d just found in her bathroom. This exchange is effective as dialogue for a number of reasons. Even though the dialogue is between Taylor and a minor character we won’t meet again, the passing conflict is revealing. Kingsolver shows us the sustaining, comforting small-town sayings and maternal wisdom Taylor carries with her. Instead of feeling cowed by the gallery-worker’s snooty attitude, Taylor stands her ground. The rhyme itself adds humour and Taylor’s recollection gives us backstory, an idea of her upbringing and the maternal source of her self-possessed pluck. Thus Kingsolver turns what could be a ‘happy people in happy land’ exchange in a gallery into a passing conflict that reveals truths about a character’s past and present. 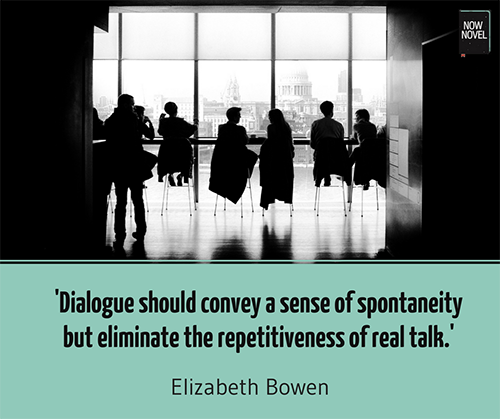 Want to improve your dialogue and other elements of craft? Join Now Novel now and take part in a vibrant critique community.